For more than 100 years, Nielsen-Massey Vanillas has been a favorite of home bakers and culinary professionals alike. Offering a range of pure vanilla and pure flavor products, Nielsen-Massey has developed a loyal customer base the world over. Headquartered in Waukegan, Illinois with an additional manufacturing plant in Leeuwarden, Netherlands, Nielsen-Massey distributes products to customers across North America, Europe and Asia and has built a presence in the Central American and Middle Eastern markets. Nielsen-Massey was founded in 1907 as a manufacturer of aromas to mask the smell of cleaning chemicals, but made a major pivot in 1918 when Richard Massey wanted to focus more on flavors for food and split with his original partner. After joining the company in 1917-1918, Chatfield Nielsen Sr. purchased the company from co-founder Richard Massey in the 1940’s.The Nielsen family still runs the company today as third-generation owners. 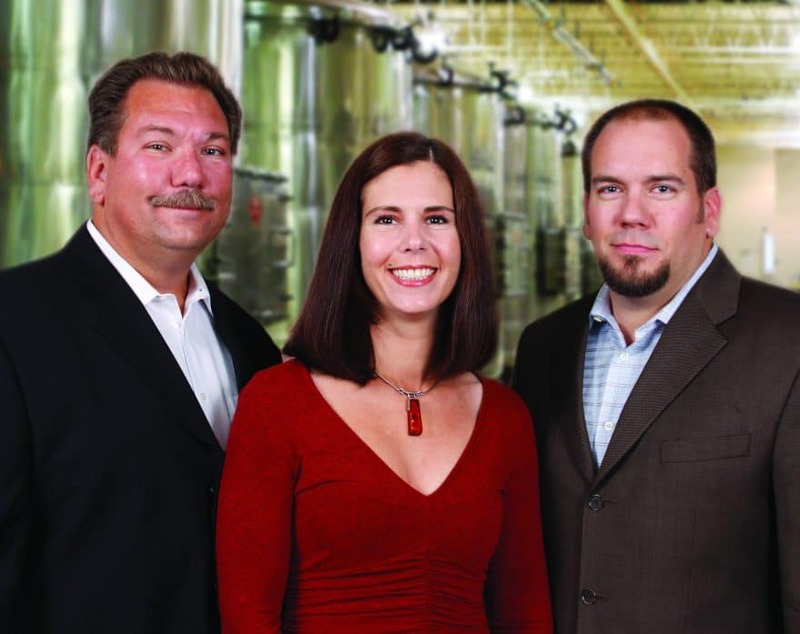 “We specialize in pure vanilla extract and we sell all-natural flavors to the consumer, the chef/caterer in foodservice, and the finished product area, where they use it to make things such as baked goods and ice cream,” says Craig Nielsen, one of the three family owners of Nielsen-Massey. Vanilla is a popular flavor found in everything from cookies and soda to beer and birthday cake. Despite its ubiquity, vanilla is actually one of the most expensive spices in the world owing largely to the labor-intensive process required to grow and harvest it. “It’s a member of the orchid family — it’s actually the only fruit-bearing orchid — and it has a very limited growing region,” Nielsen says. Nielsen-Massey’s ranges of vanilla extract products include Madagascar Bourbon Pure Vanilla Extract, Mexican Pure Vanilla Extract, Tahitian Pure Vanilla Extract and Pure Vanilla Extract. The production process begins in September when vanilla plants are hand-pollinated on small family farms. The vanilla plants grow on vines, taking as long as nine months to reach their full, flavorful maturity before they are cured for three months under a unique process that sees the vanilla beans dipped in hot water and put into sweat boxes. After 48 hours, the beans are placed in the sun during the day, then wrapped in wool blankets and once again put in sweat boxes during the night, a process that is repeated daily for another one to two months. They are then laid out on conditioning racks for another two to four months until they are ready for export. “From start to finish, pollination to shipping is about a 12 month period and it’s all done by hand,” he says. By investing nearly a year in each crop, Nielsen-Massey is able to source fully developed vanilla beans with rich, complex flavor profiles. Given the time-intensive process, the company works to ensure these delicate flavors are maintained throughout the entire extraction process. “You can do a quick extraction in a couple of days, but you damage the flavor components. We use a proprietary cold process method of extraction – step-by-step extraction to get the purist vanilla. To do it right, it takes a while,” Nielsen says. In response to consumer demands the company has launched two new vanilla extra products in recent years, Organic Fairtrade Madagascar Bourbon Pure Vanilla Extract and a forthcoming Alcohol Free Madagascar Pure Vanilla that uses a water and glycerin extraction method to produce the same sweet, creamy flavor customers have come to expect without any of the alcohol content. 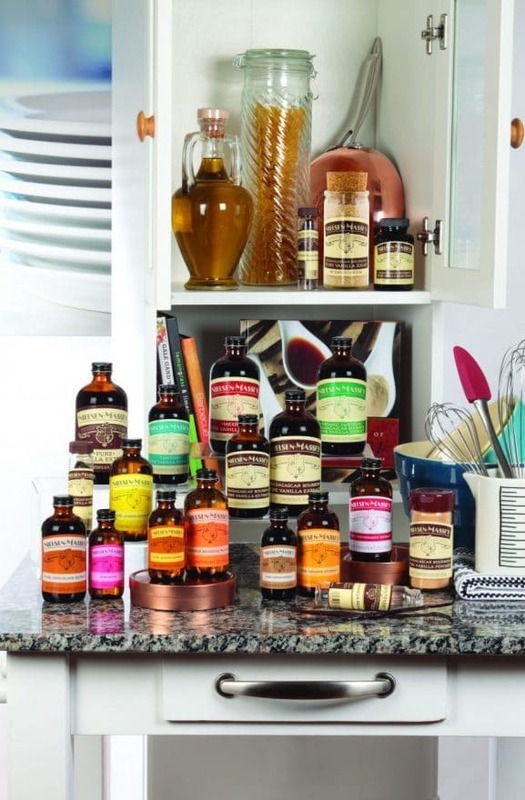 In addition to its vanilla extracts, Nielsen-Massey carries a full lineup of vanilla paste, powder and sugars, as well as whole vanilla beans. On the non-vanilla side, the company produces pure almond, chocolate, coffee, lemon, orange and peppermint extracts, as well as orange blossom water and rose water. Given the time- and labor-intensive process required to grow and extract quality vanilla flavors, Nielsen-Massey is constantly working to ensure that the company has a steady supply of vanilla beans on hand at any given time. This has been more of a challenge in recent years as the price of the raw ingredient has skyrocketed, growing from some $40 a kilo in 2013 to more than $200 a kilo today. “The major challenge right now is keeping a consistent, quality, supply of vanilla beans without having major price fluctuations,” says Nielsen. Nielsen cites increased demand for natural ingredients as a driving factor in the rapid price hike. “Since 2013 you’ve seen a number of larger consumer brands that are talking about going to all-natural products, so that has started to drive demand,” he says. Given the long period between pollination and processing and the relatively small scale it’s grown on, a weak vanilla crop can have a devastating effect on the market. “It’s still very much a family cottage industry and last year more than one-fifth of the crop was not sellable because of poor quality,” Nielsen says. In an effort to address this ongoing issue, Nielsen-Massey teamed up with a number of its competitors last year to form the Strategic Vanilla Initiative. Conceived as a means of ensuring consistent quality and quantity in Madagascar’s vanilla crop, the group works to help farmers professionalize their processes while providing more stability for producers during slow times. “We’ve had some degradation of quality caused by some principles being introduced to shortcut the curing process, so we’re looking to address that. We’re also looking to increase the professionalism of the industry and organization there to help with traceability and consistency of product,” he says. Nielsen-Massey’s commitment to the people in its most productive growing regions extends well beyond those family farmers who help to cultivate the crop itself. The company has completed a number of charitable efforts throughout the country; most recently building a well that shored up a village’s drinking supply. Back in the U.S., the company conducts its charitable efforts through The Nielsen-Massey Foundation, focusing specifically on programs that encourage health and dietary education for low-income and at-risk demographics. These charitable programs not only allow Nielsen-Massey to positively contribute to overall community health and wellness, but act as a valuable assets when it comes time to recruit next-generation employees. “Millennials are looking for a company with a commitment to social responsibility. They want to feel like they are doing something good in the world,” says Nielsen. As Nielsen-Massey continues to grow, the company is looking to expand into new regions and markets, with China holding particular promise as the country’s emerging middle class looks increasingly toward natural products. “We also have our eye on the beverage markets. Whether it’s all-natural drinks or alcoholic drinks, vanilla works very well as an enhancer of other flavors, and it really adds to the depth and complexity of flavor,” he says. For the past four years the company has sponsored a vanilla-based beer brewing competition in partnership with a number of Chicago-based homebrew groups. “We provide product for them, they brew and we bring in certified beer judges to try them,” Nielsen says. Nielsen-Massey has garnered an impressive reputation in its 100-plus years in the market, and to Nielsen, that’s the very definition of success. “The fact that our brand has been trusted by customers and consumers for generations gives us a lot of pride,” he says. As a leading provider of vanilla extracts actively working to ensure the continued success of not only its own company, but the industry as a whole, Nielsen-Massey Vanillas will remain one of the leading names in the production of quality vanilla extracts and flavored extract products.